Now that the elections have come and gone, Tuesday night television can finally return to its regularly scheduled programming. For those not keeping keeping track, this is the first time Tuesday has had an unaffected night of television in two weeks. So if your favorite shows are on tonight, it's time to finally catch up with them. 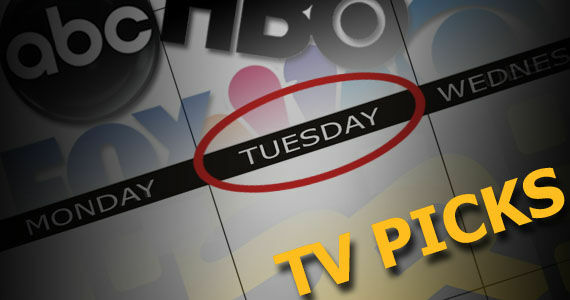 Tonight, NCIS kicks off two-part episode involving a Navy Lieutenant with post-traumatic stress disorder; Happy Endings gets Max and Brad into a Bar Mitzvah battle; Covert Affairs forces Annie to track down Kahlid Ansari alone; Ink Master shows off some Star Wars tattoos; Sons of Anarchy has Jax planning for a backlash – and much more. When a Navy Lieutenant who recently returned home from the Middle East is found dead from a brutal attack, the NCIS team questions the victim's friend, Marine Captain Joe Wescott. Gibbs realizes the Captain is suffering from post-traumatic stress disorder, but knows his experience overseas may also provide a key link to the crime. Max has been working the Bar Mitzvah circuit as the professional "hype guy" -- emceeing, getting the crowd excited and up and dancing. Penny convinces Brad to give it a try and partner up with Max, but when Brad turns out to be quite good, a little jealousy and tension begins to brew between the duo. Meanwhile, Jane encourages Dave and Alex to make a concerted effort not to take their relationship for granted this time around, but each of their separate attempts at romantic gestures seem to go right over the other's head. Annie works with Eyal to track down Khalid Ansari while Joan and Auggie are gone. The remaining artists create "Star Wars" tattoos for super fans of the franchise; and the winner of the Flash Challenge receives a special surprise from George Lucas.